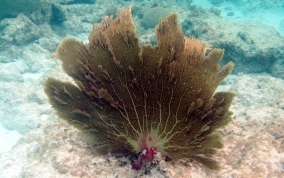 The most noticeable difference between the Common Sea Fan and the Venus Sea Fan is the more ragged edge appearance and the secondary branches that grow off of the main fan. Usually yellow, but can be purple. 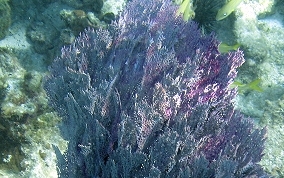 If polyps are extended the fan will have a fuzzy brown appearance. 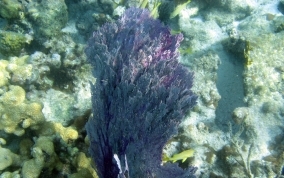 They only grow about half as wide, a little over 3 feet, as the Common Sea Fan, up to six feet . 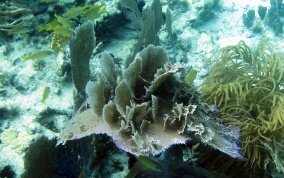 Sea Fans are found in fore reef areas or shallow back reef areas where there is clear and moving water. Most common color is yellow, but can be purple.